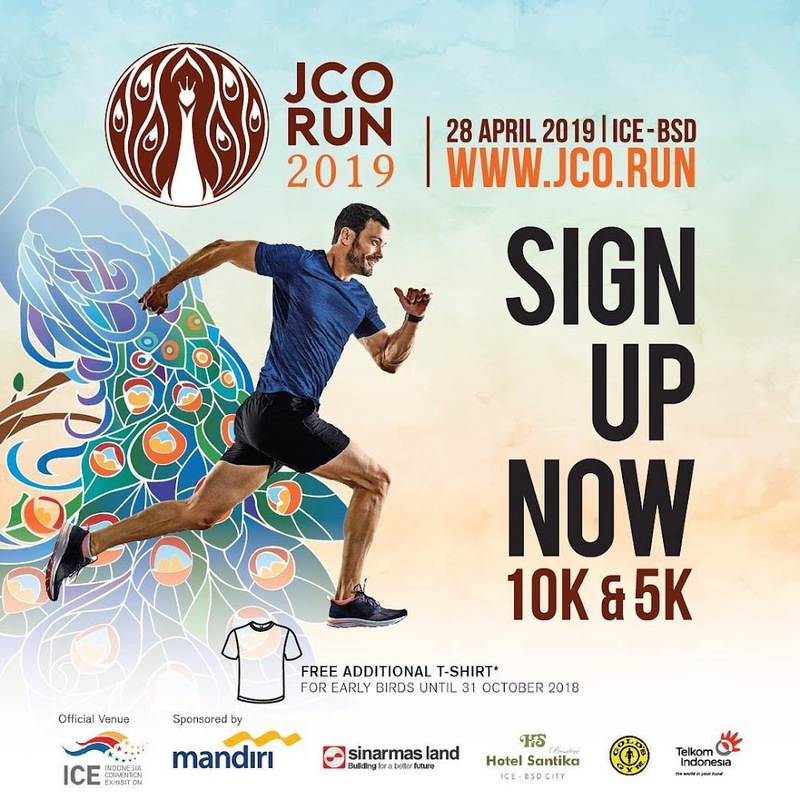 Come and join the fun again at JCO RUN 2019! Get 1 box of 2 dzn Jpops coupon that can be redeemed at J.CO stores in Jabodetabek & Bandung area. Enjoy FREE J.CO DONUTS & COFFEE /BREADTALK / ROPPAN at JCO RUN 2019 Race Central for all JCO Runners. Dan Nikmati FREE J.CO DONUTS & COFFEE / BREADTALK / ROPPAN at JCO RUN 2019 Race Central untuk Semua JCO Runners.